TWO honorary consuls have been inaugurated by the secretary for Foreign Affairs and Trade, Michael Maue. 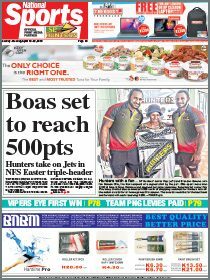 The two were ANZ Bank legal and compliance manager Lucy Maraga Igo, who had been appointed consul by the Danish government and Air Niugini chief executive officer Wasantha Kumarasiri, who is the Sri Lanka consul. Maue said he was pleased to see bilateral relations between Papua New Guinea and the two countries expand over the years. 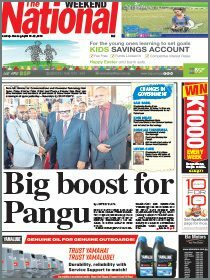 He challenged them to promote PNG as an investment-friendly nation, saying there was huge potential in mining, fisheries and forestry in the country. In congratulating Igo and her family, Maue said she was carrying on her father’s legacy. Her father, the late Steven Igo, was a former chief secretary and a diplomat representing PNG overseas. He said the PNG-Denmark relations had improved since diplomatic relations began in 1997. Igo said it was an honour to be appointed by the Danish government which did not only recognise her as a woman but was confident in her capabilities.